The Caravan 3.0 is a no-nonsense travel bag from Golf Travel Bags with all the amenities. It has a deluxe wheel system, plenty of storage space, and is constructed of strong, 600-denier polyester blend. 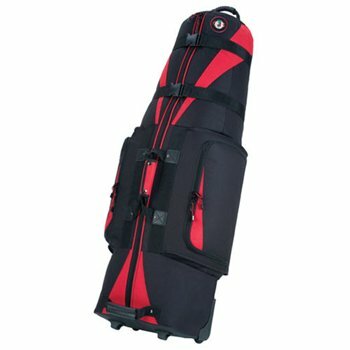 Other features of this great travel bag include deep recessed exterior pockets, padded top for club protection, interior tie-down strap to secure bag, security straps, deluxe wheel system, color accented zipper pulls, and comfort grip rubber handle. Dimensions: 51" x 14" x 11"